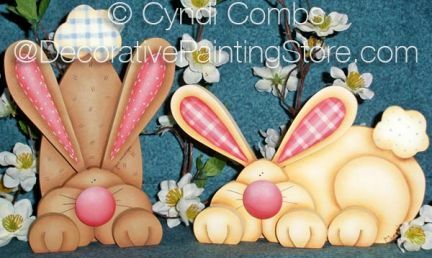 2 dimensional bunnies cut from 1/4" or 1/2" wood... or you could paint flat on any surface of your choosing. Rabbits are approximately 5"-6" tall. Pattern includes photo, instructions, lfull size line drawing.